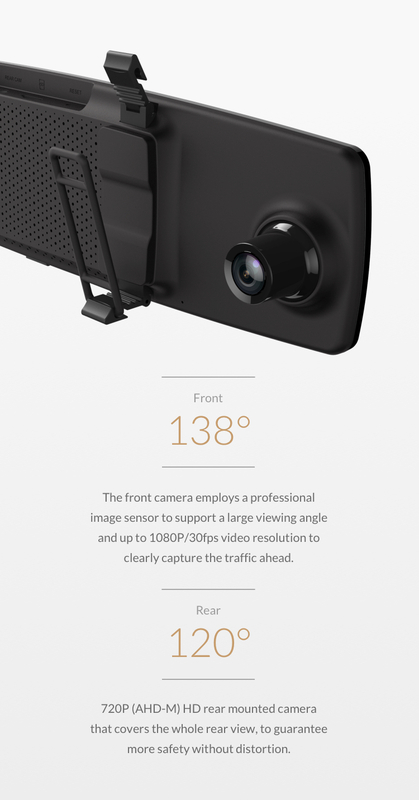 The front camera employs a professional image sensor to support a large viewing angle and up to 1080P/30fps video resolution to clearly capture the traffic ahead. 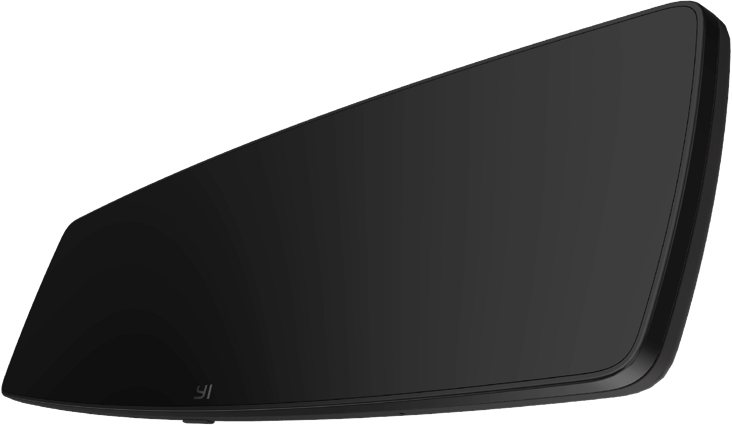 720P (AHD-M) HD rear mounted camera that covers the whole rear view, to guarantee more safety without distortion. 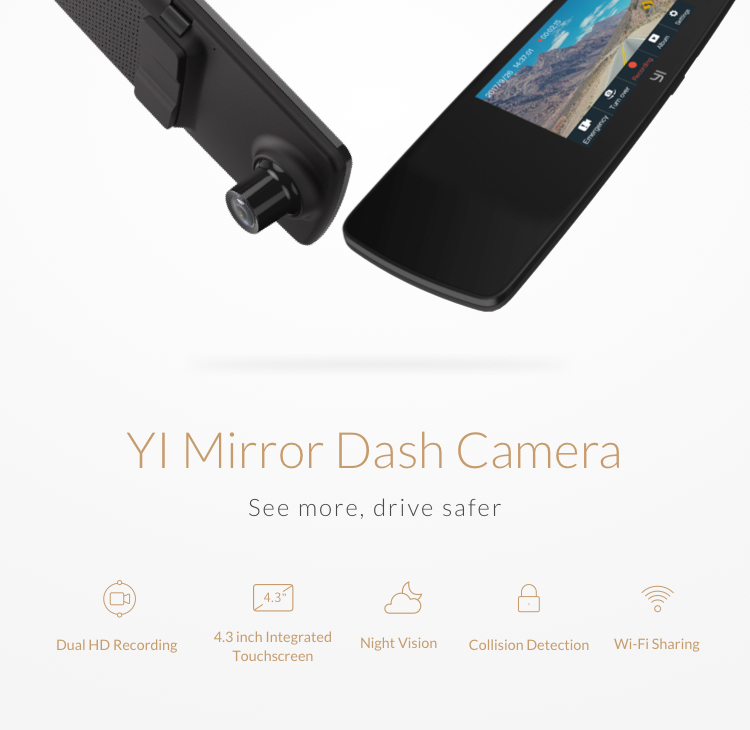 The YI Mirror Dash Cam employs a high-quality rearview mirror’s high transmittance material that blends with the car. 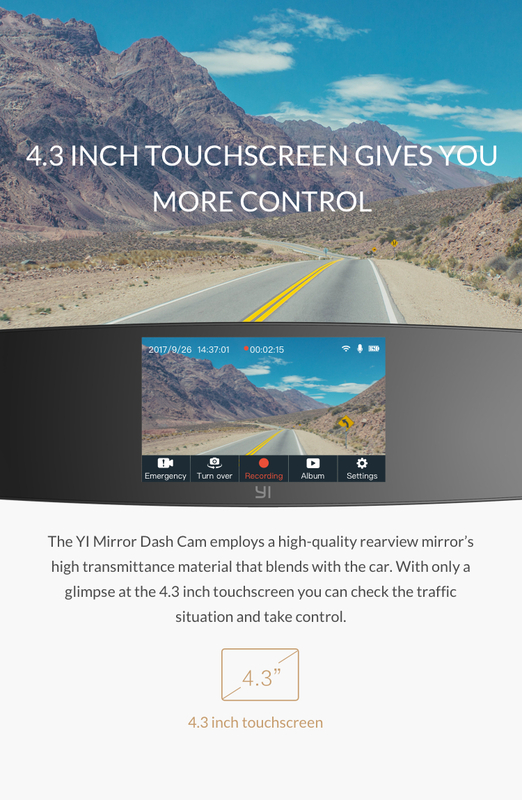 With only a glimpse at the 4.3 inch touchscreen you can check the traffic situation and take control. 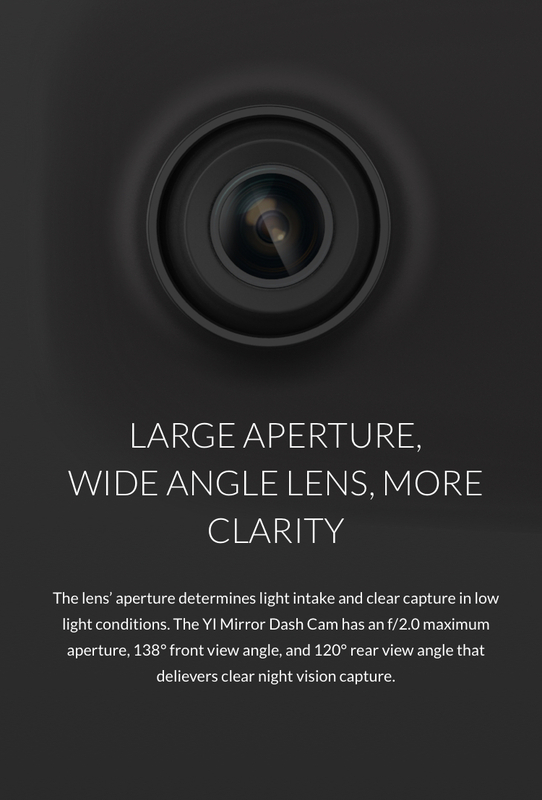 The lens’ aperture determines light intake and clear capture in low light conditions. 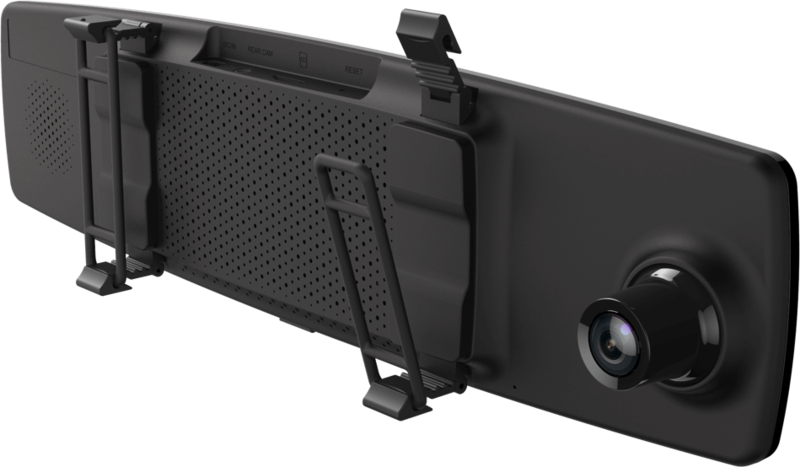 The YI Mirror Dash Cam has an f/2.0 maximum aperture, 138° front view angle, and 120° rear view angle that delivers clear night time capture. 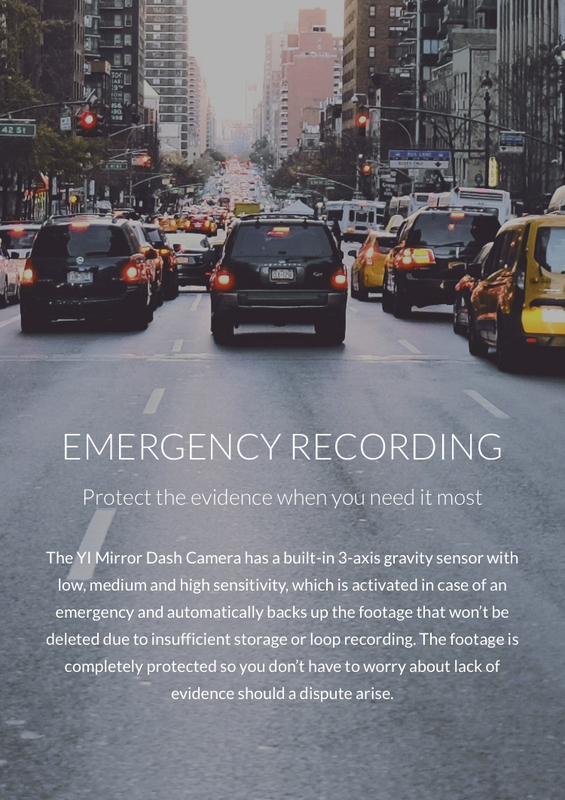 The YI Mirror Dash Camera has a built-in 3-axis gravity sensor with low, medium and high sensitivity, which is activated in case of an emergency and automatically backs up the footage that won’t be deleted due to insufficient storage or loop recording. 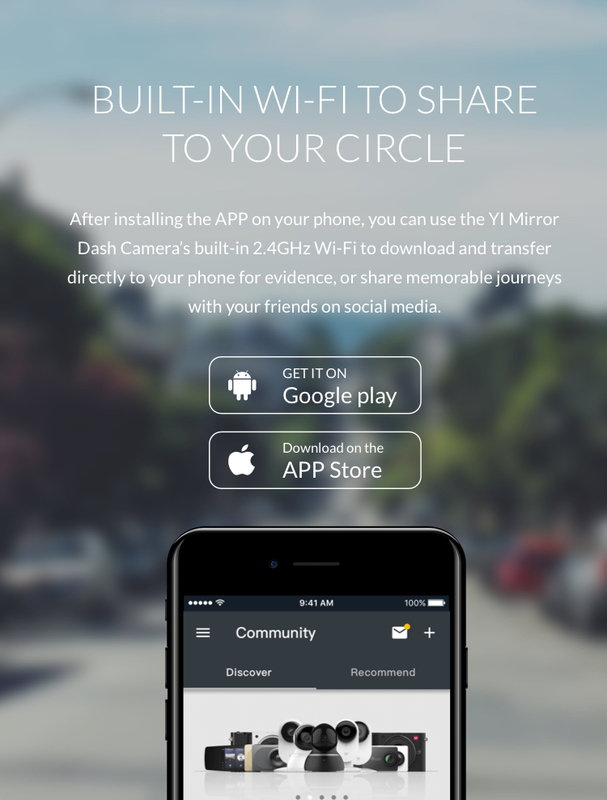 The footage is completely protected so you don’t have to worry about lack of evidence should a dispute arise. 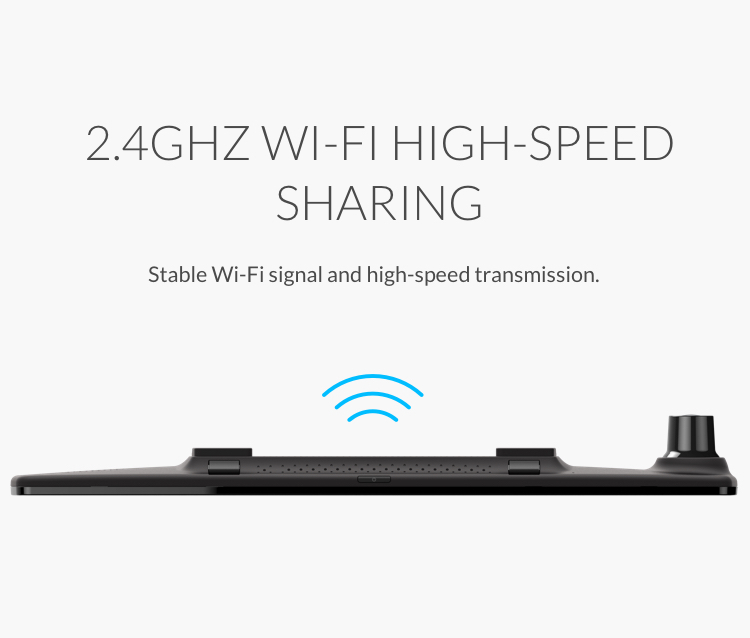 Stable Wi-Fi signal and high-speed transmission. 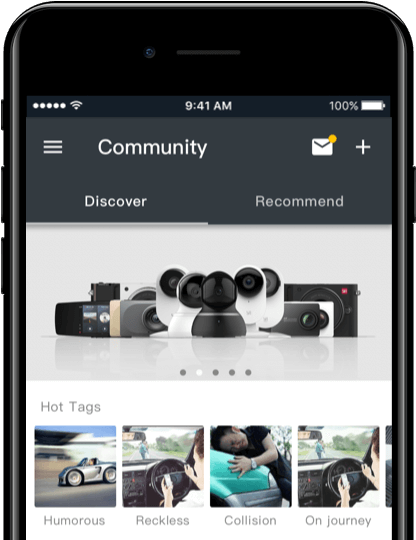 Thanks to the YI Mirror Dash Camera’s quick start-up you don’t need to worry about missing a thing. 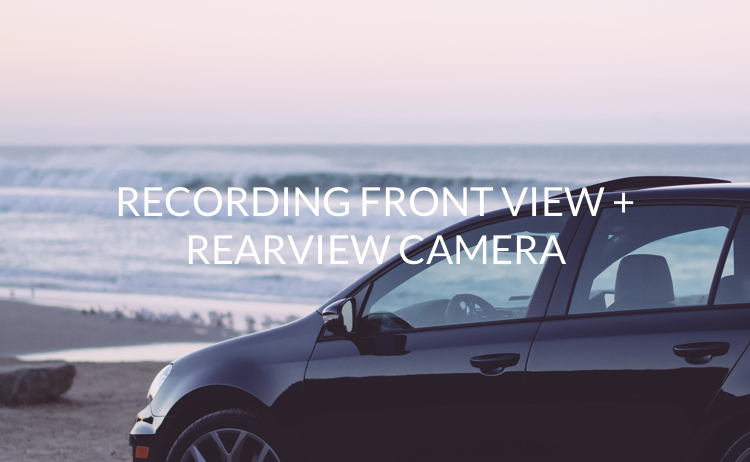 The camera starts simultaneously with your car, and the camera can start recording before you even set off. 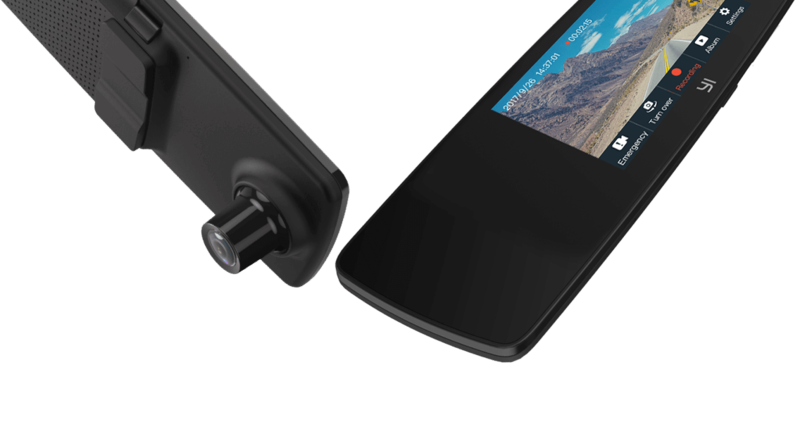 The small lens accommodates a professional all-glass lens equipped with an infrared filter to isolate the glare and capture a clearer image. 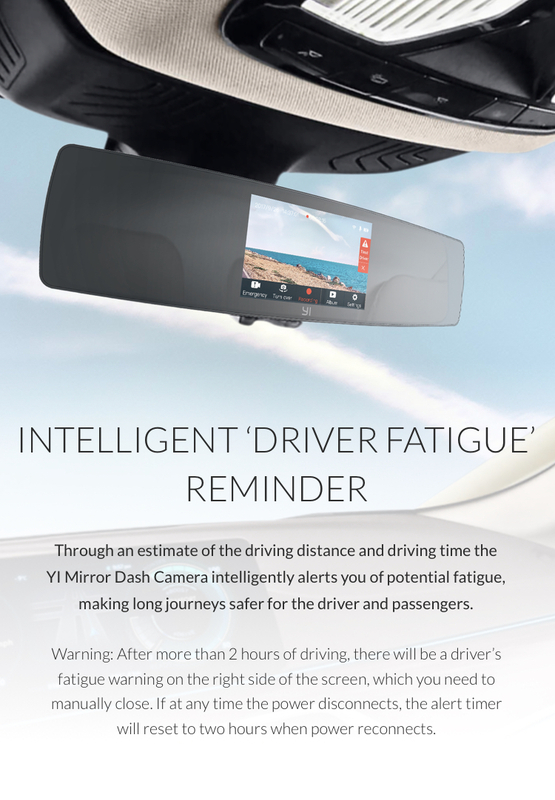 Through an estimate of the driving distance and driving time the YI Mirror Dash Camera intelligently alerts you of potential fatigue, making long journeys safer for the driver and passengers. Warning: After more than 2 hours of driving, there will be a driver’s fatigue warning on the right side of the screen, which you need to manually close. If at any time the power disconnects, the alert timer will reset to two hours when power reconnects. 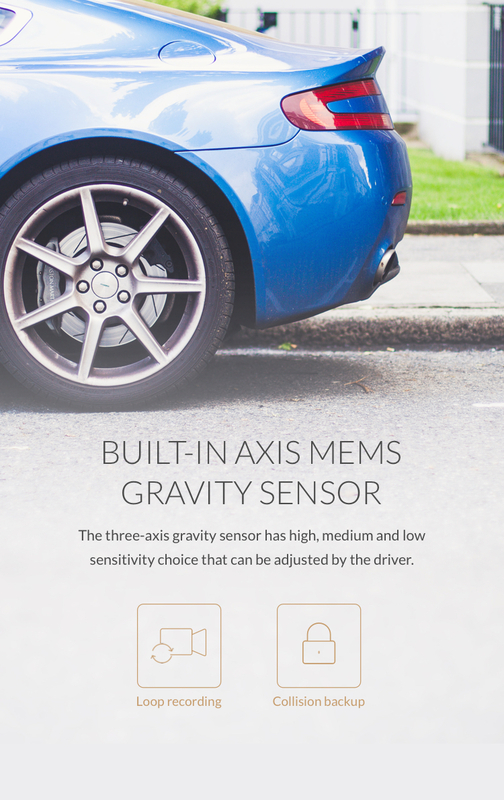 The three-axis gravity sensor has high, medium and low sensitivity choice that can be adjusted by the driver.